A blend of selected Grillo, Cataratto and Inzolia aged for 10 years in oak barrels. 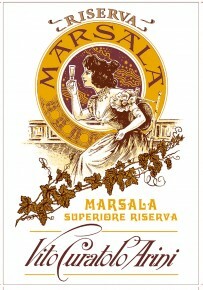 Soft, elegant and full bodied on the palate with wonderful hints of dried fruit. Served chilled it is ideal as an aperitif, or at room temperature as a meditation wine. Great match for strong cheeses like aged Pecorino, Gorgonzola, Stilton, or Sicilian desserts.